Sound artist Alyssa Moxley presents an in-depth talk, documentational video and audio material from the development and research stages of her recent project developed at ZKM Karlsruhe, the sound art installation project “4D Sound Points On The Curve - Living Memory”. 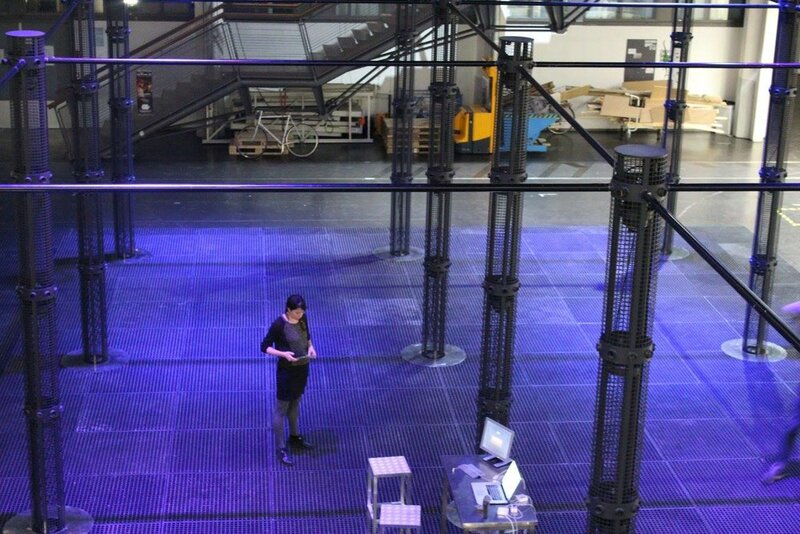 Using the expanded spatialization capacities of a room–sized 4 dimensional sound system in ZKM, Karlsruhe, the artist is interested in creating abstraction through distance and spectral morphing. Alyssa uses EQ, panning, looping, granulation and sample based synthesis to transform the places within these recordings from identifiable locations or interactions of materials to abstract sounds. For the project Alyssa utilizes an extensive collection of field recordings gathered from around the world over the past 10 years. Social situations, music, soundscapes, and abstract sounds of urban and rural environments are woven together in a work that expands, contracts, and shifts space, blending time periods and localities, transforming the listeners into active contributors to the composition through their interaction with the space of the room, as well as the imported space of the field recordings. Overall “4D Sound Points On The Curve - Living Memory” is a composition experiment that develops an ambiguous contiguity between causal, semantic and “reduced” listening. In addition to the in-depth talk at the Bagkeion, Alyssa performs “4D Sound Points On The Curve - Living Memory” live at BIOS cultural center, on the opening of Transmission art festival in Athens, which is streamed to the parallel exhibition space in Karlsruhe.